The inspiration for these pieces come from Sheila's fascination with rock formations and their origin. 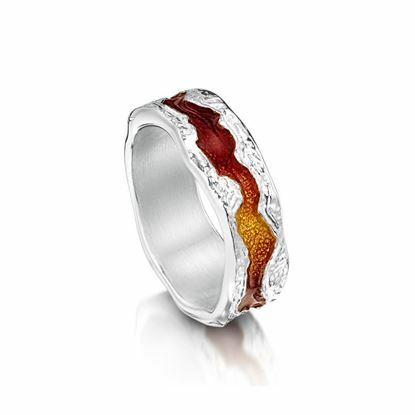 She has created these textured designs with Fire enamels in silver to represent the movement of the bright lava as it streams down from a volcano. When lava solidifies it forms an igneous rock which has fantastic organic textures.